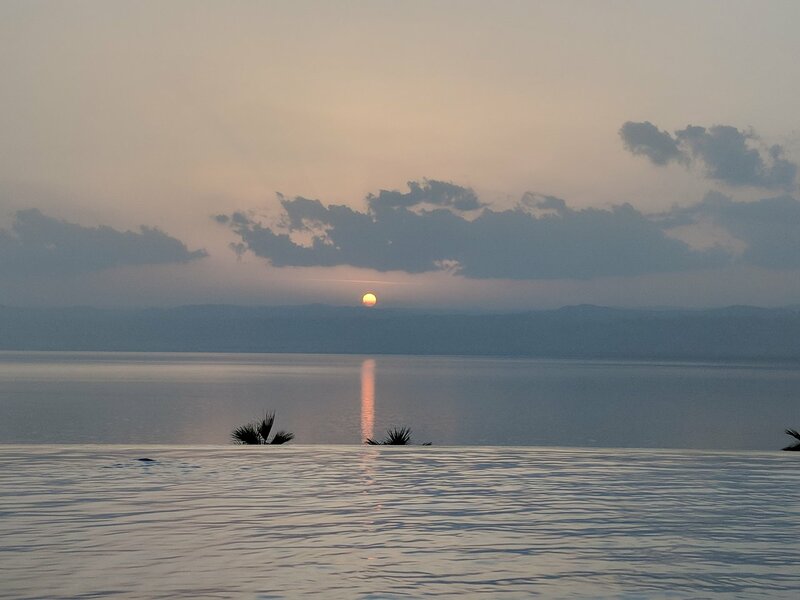 Once your flight touches down at Queen Alia International Airport (QAIA), you'll be driven to your hotel in Amman to relax and get settled. Depending on the time of your arrival, you may be able to start exploring the city. 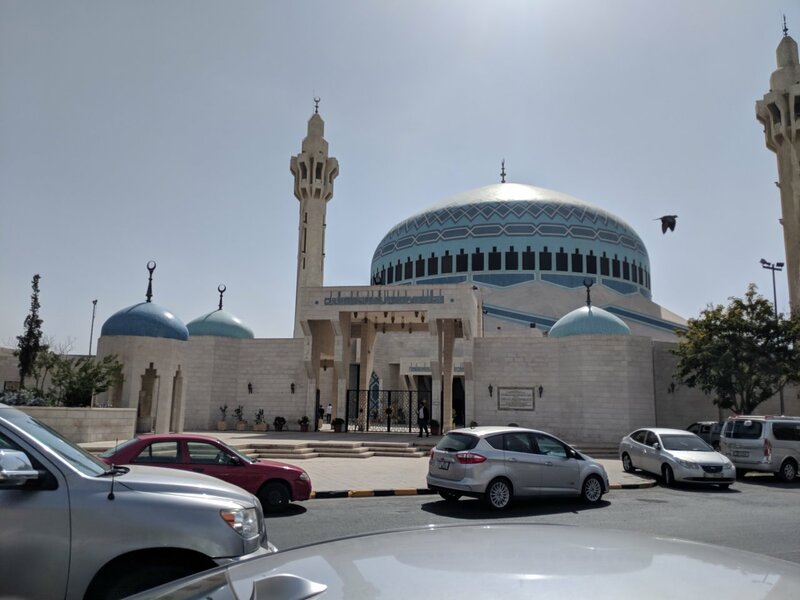 Visit the massive King Abdullah Mosque, get acquainted with the shops and galleries in the Jebal Al-Waibdeh neighborhood, and celebrate your first night of travel with a plate of mansaf, aromatic roasted lamb with yogurt sauce - it happens to be Jordan's national dish! 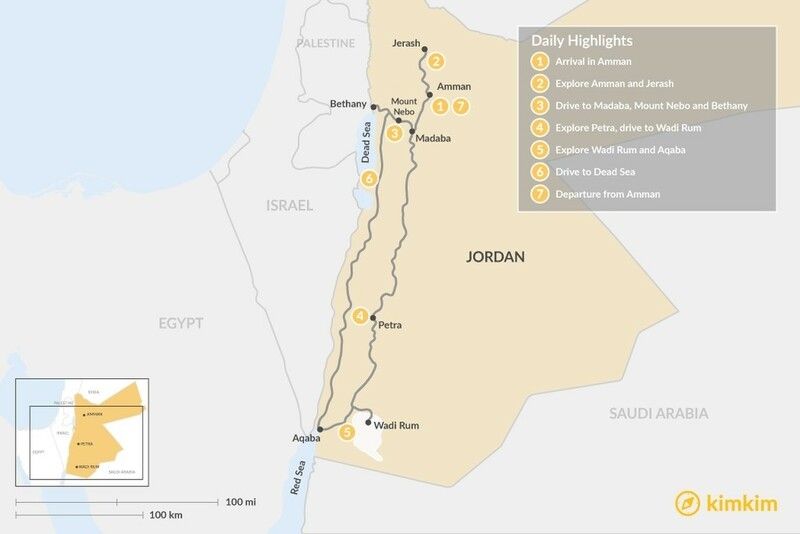 As the capital of Jordan and the nation's largest city, Amman is full of cultural activities. 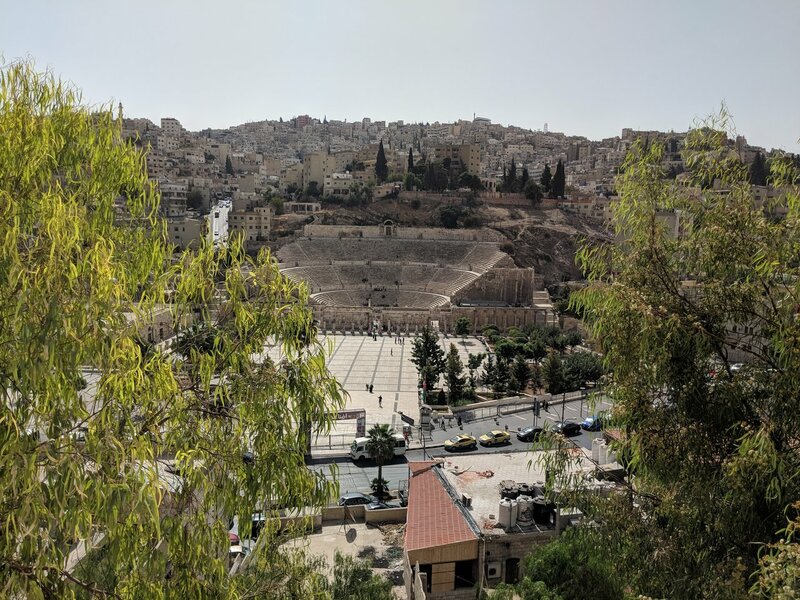 Begin your day with a walking tour of the Old City, stopping periodically to marvel at ancient attractions like the Citadel building and the Roman Theater. Explore the sprawling marketplace, where you can find everything from handmade crafts to traditional sweets and pastries. 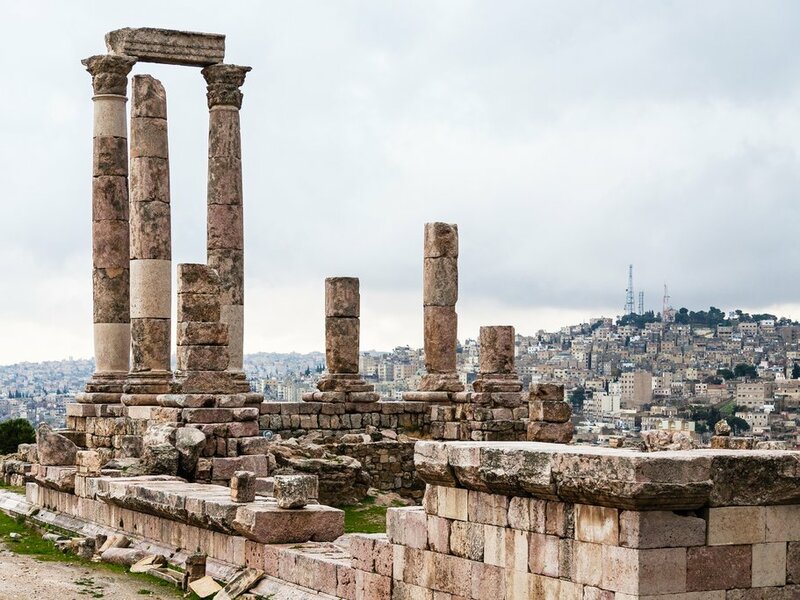 Spend your afternoon in Jerash, one of the best-preserved Roman cities in the Middle East. 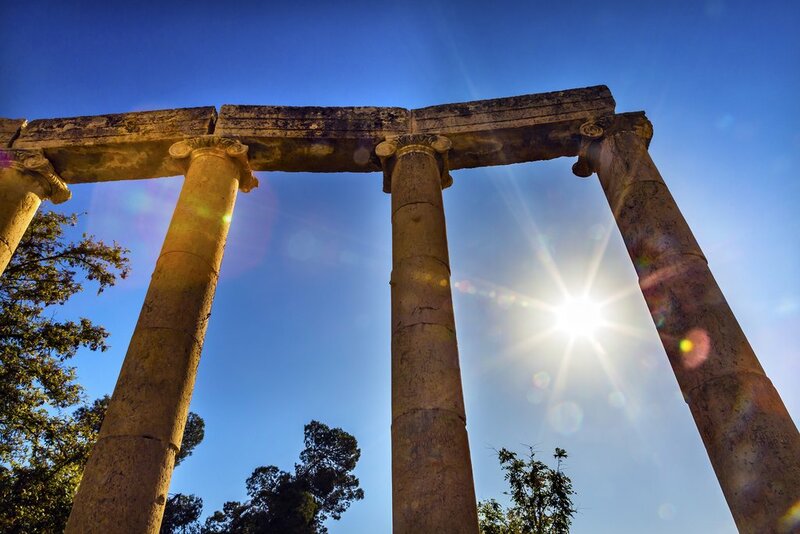 Wander among the ancient ruins, stopping at noteworthy sites like Hadrian's Arch, which once acted as the city's southern entrance, and the classic Temple of Artemis. You can also catch a show at the Hippodrome, where actors portray gladiator fights and chariot races. 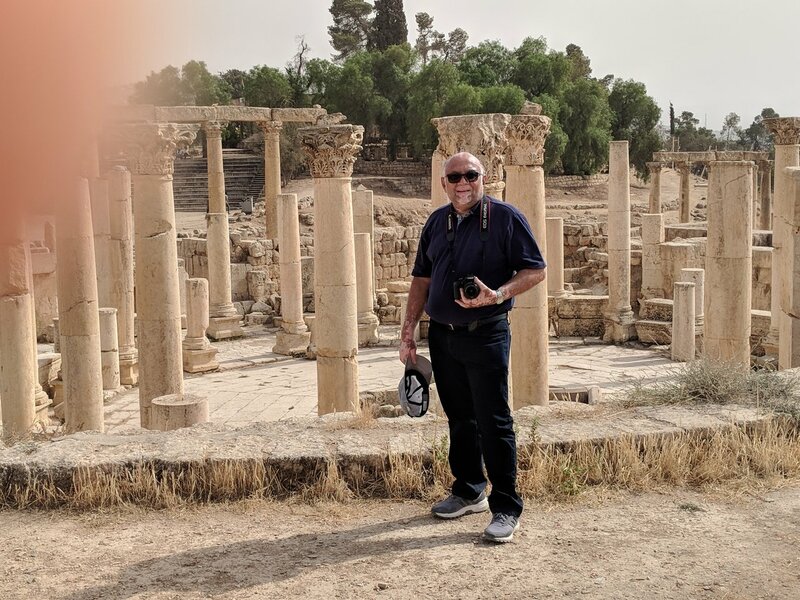 Depart from your hotel and head to the town of Madaba, where you'll find the Madaba Map - the oldest preserved mosaic map of the Holy Land - and other Byzantine artwork. Be sure to climb the bell tower at the Shrine of the Beheading of Saint John the Baptist; once you've reached the top, you’ll be rewarded with a stunning view. 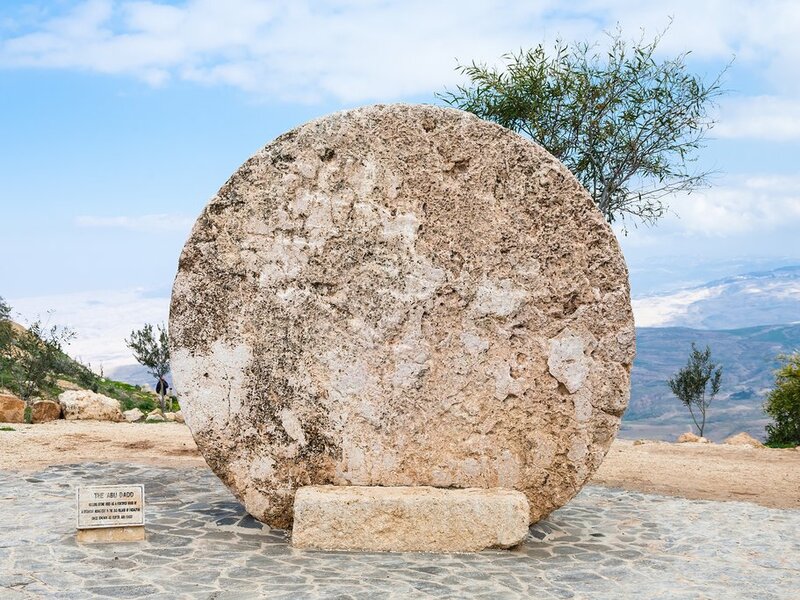 Journey south to Mount Nebo, the holy place where Moses once looked out across the Promised Land for the first time. 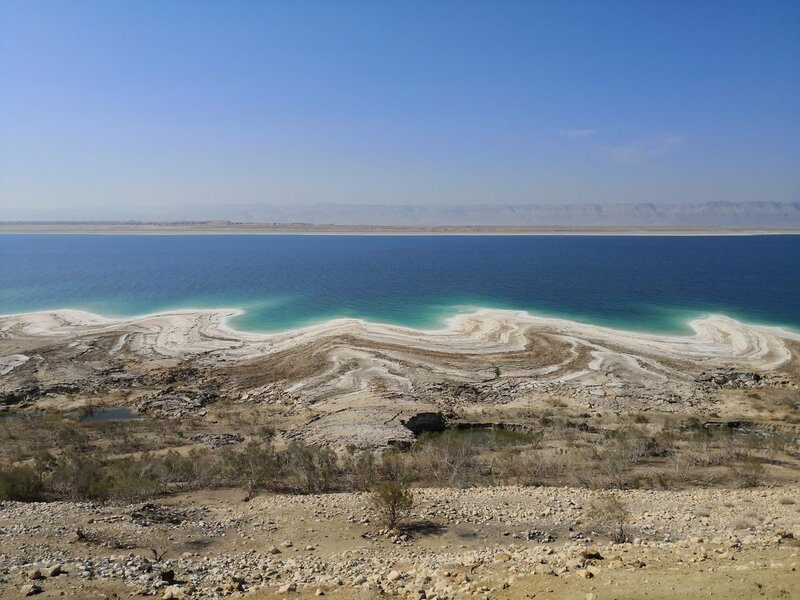 Have fun identifying sights like the Dead Sea before eventually making your way down to the Memorial Church of Moses, which houses excavated relics from the region. 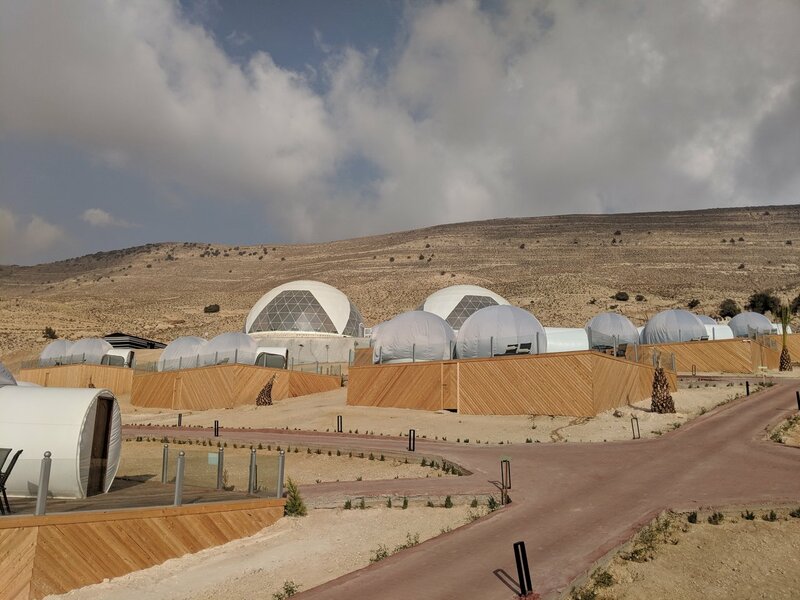 You'll also visit the nearby La Storia Tourism Complex, established to showcase the history of Jordan from both a cultural and religious viewpoint. 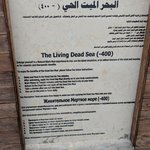 The last stop of the day is Bethany, the site where John the Baptist baptized Jesus Christ on the eastern bank of the Jordan River. 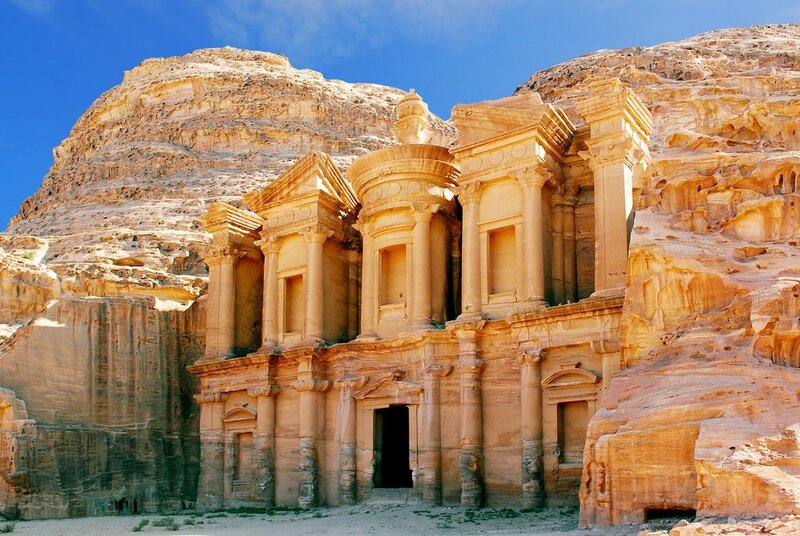 Located in a wadi kharrar, or reeded valley, the area is dotted with plenty of centuries-old churches and manmade pools to explore. 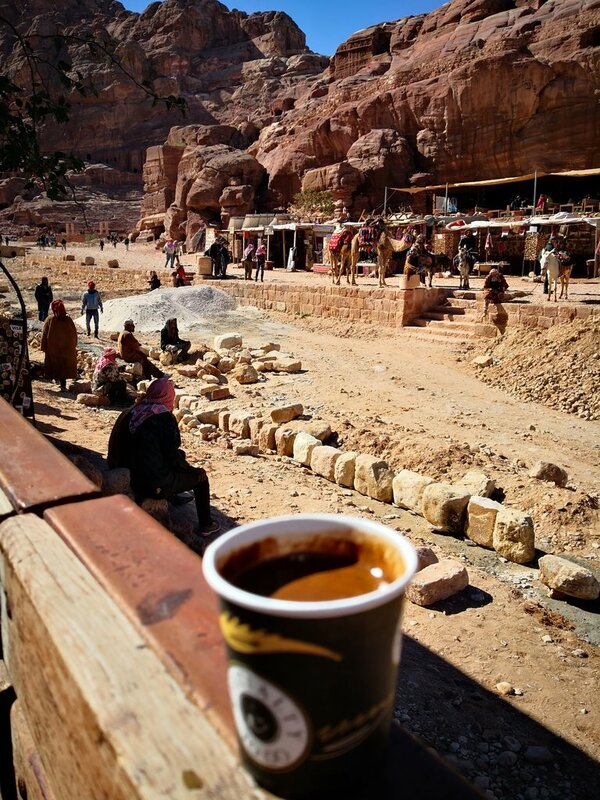 Start your fourth day in Jordan with a hearty breakfast at your hotel in the village of Wadi Musa, the gateway to Petra. 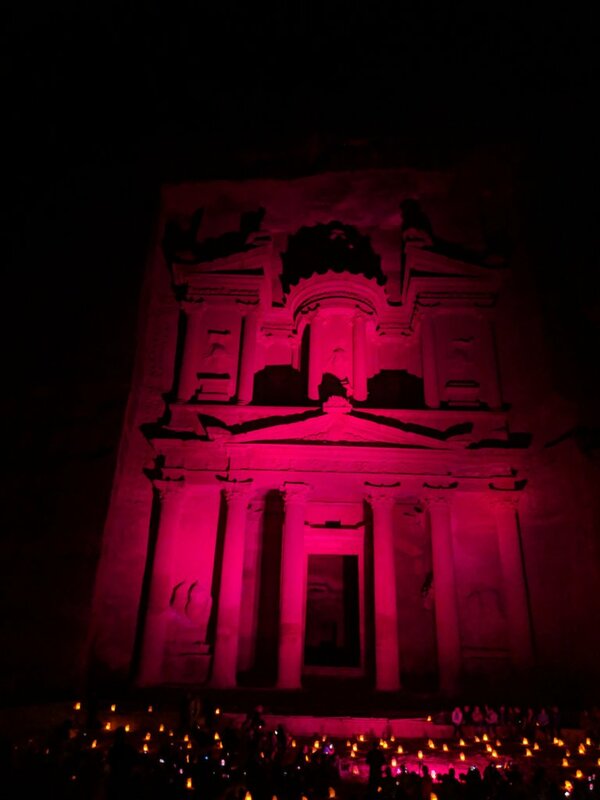 It's easy to see how this fascinating city, widely said to be "half as old as time itself," earned its designation as a UNESCO World Heritage Site. 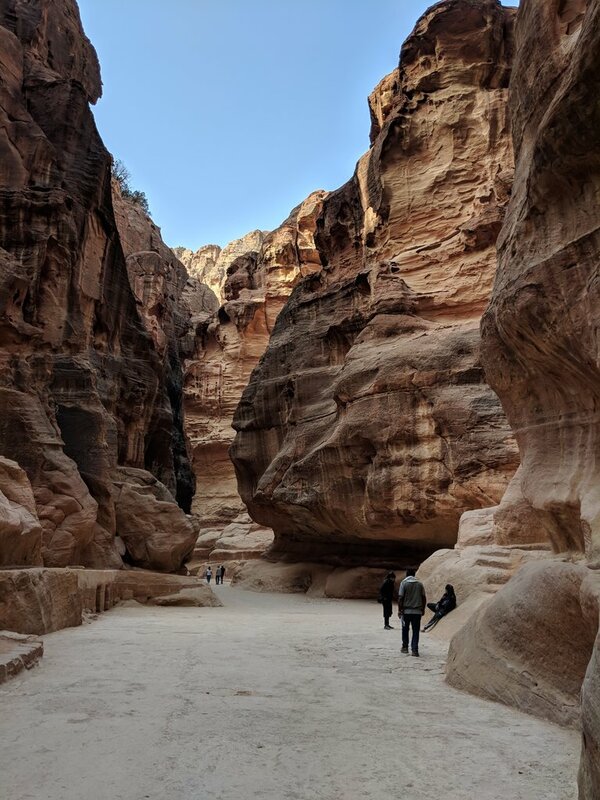 Spend the day wandering through Petra's expanse of temples and other ornately decorated structures after entering through the dazzling gorge known as the Siq. 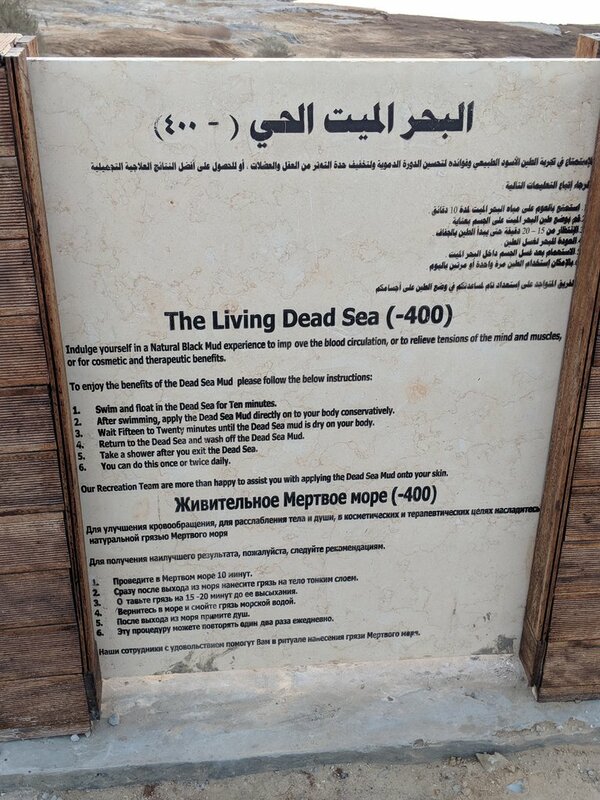 Take a stroll down the Street of Facades, a row of forty houses and tombs with intricately carved exteriors. 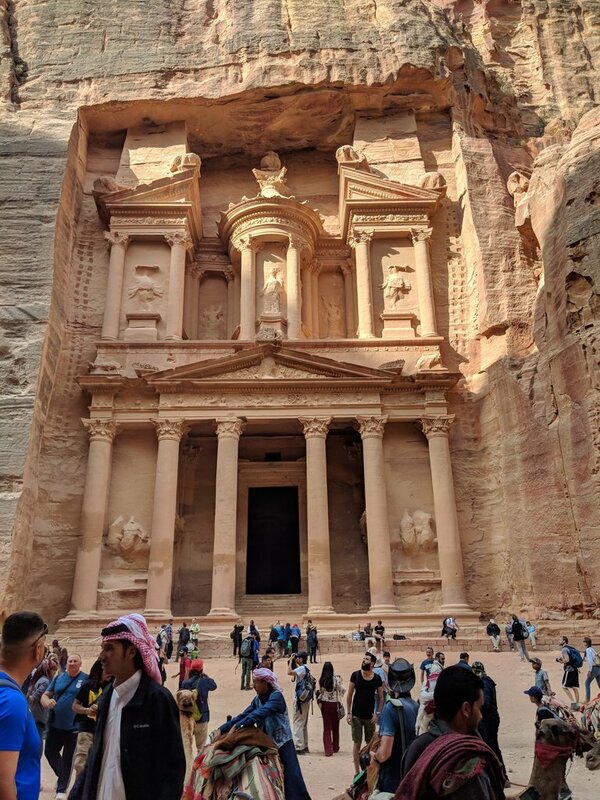 You might also want to hike to The Monastery, a hilltop temple and one of the largest buildings in Petra, or head to the equally impressive High Place of Sacrifice for a look at the ceremonial platform. 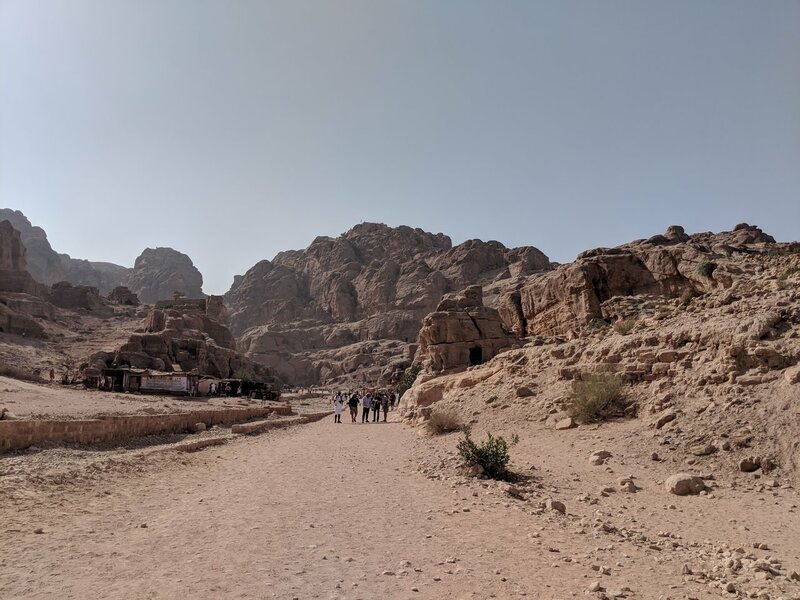 After getting your fill of Petra, continue south to the wilderness of Wadi Rum, a sweeping expanse of rolling desert known for the prominent basalt slabs at its center. 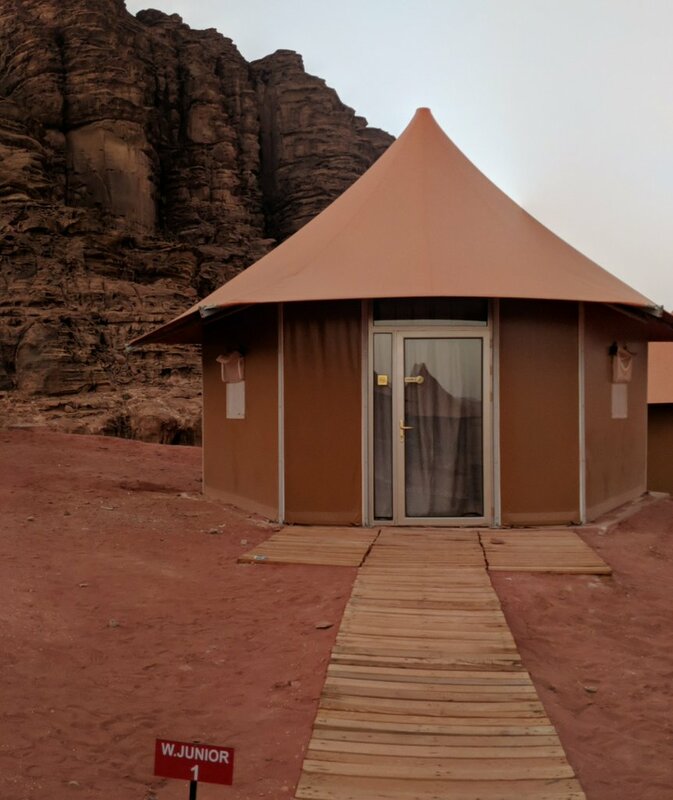 Enjoy an evening of Bedouin hospitality at your campsite before falling asleep under the stars. 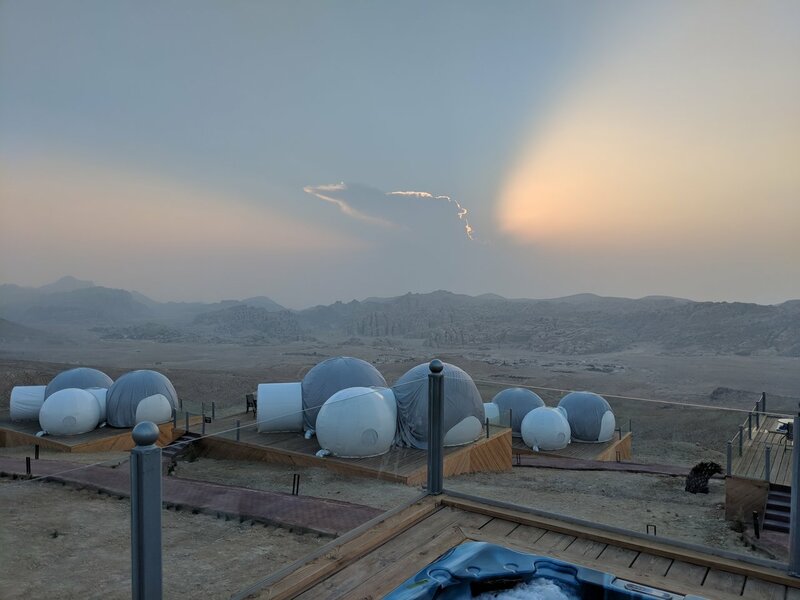 Wake up refreshed in the great outdoors, and take in the panoramic desert views from your campsite before heading out for a two-hour Jeep tour of the area. 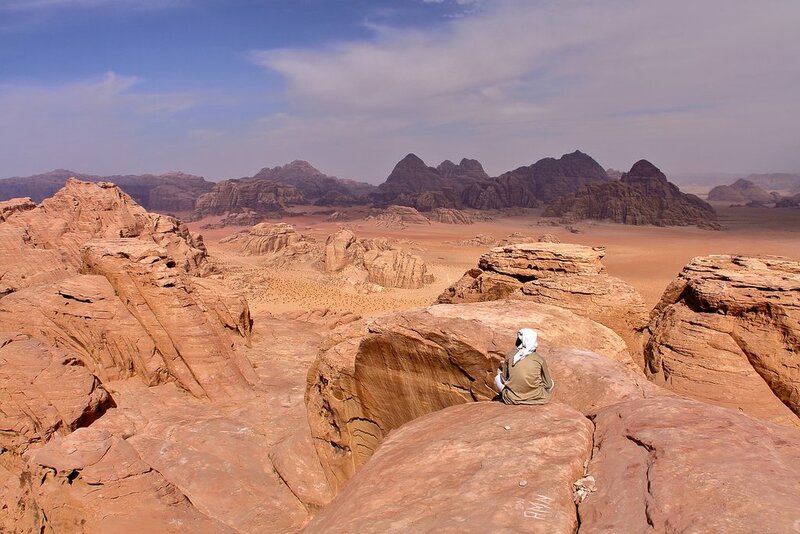 You'll explore the canyons and rock bridges of Wadi Rum, stopping periodically for photos with the awe-inspiring natural backdrop. Return to camp for a traditional lunch before bidding farewell to the desert. 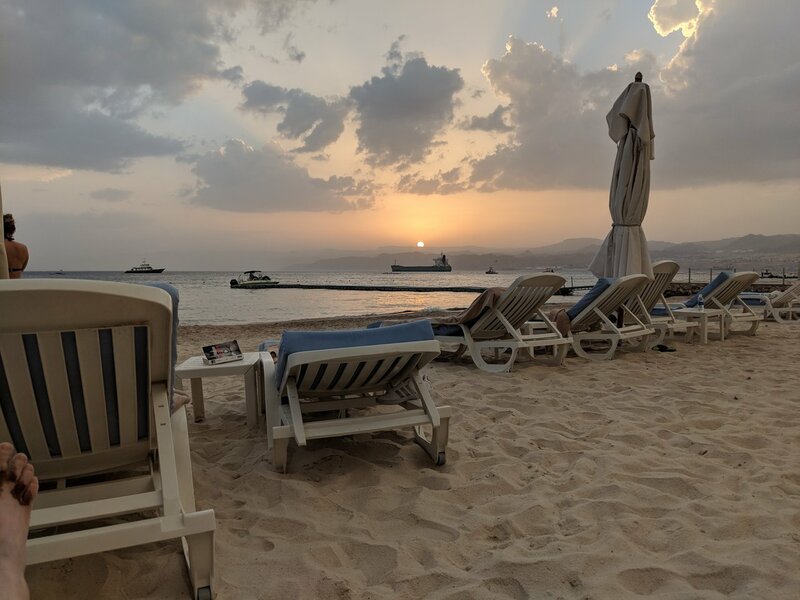 Your afternoon and evening will be spent at the Gulf of Aqaba, Jordan's own access point to the warm waters of the Red Sea. 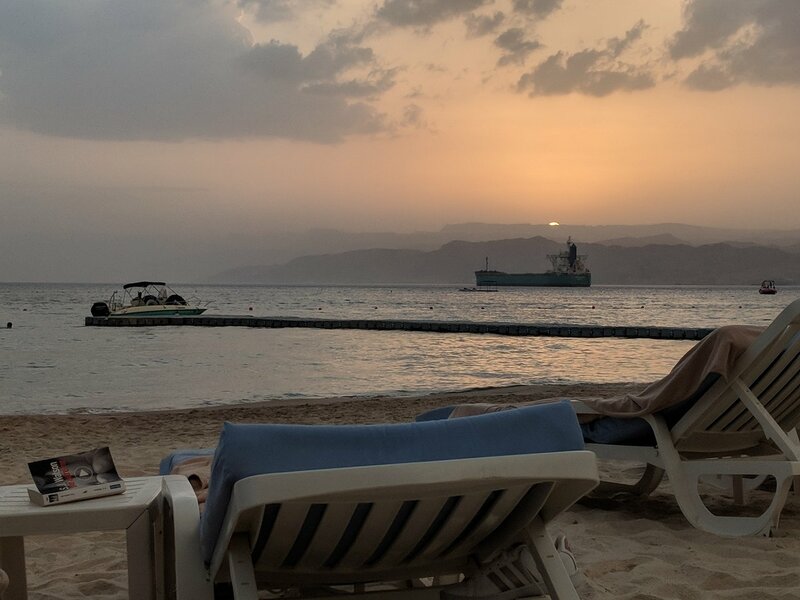 Take advantage of the abundant marine life in the Gulf's large coral reef with a snorkel or scuba outing, or spend time relaxing poolside at your resort. 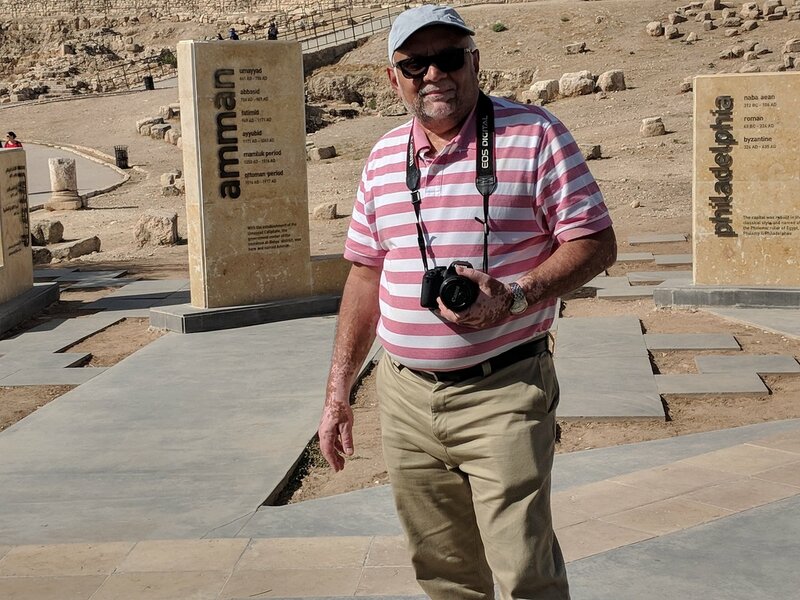 You can also pay a visit to some of the area's cultural landmarks, like the Sharif Hussein Bin Ali Mosque, a stunning example of 20th century Islamic architecture, or the Aqaba Archeological Museum. 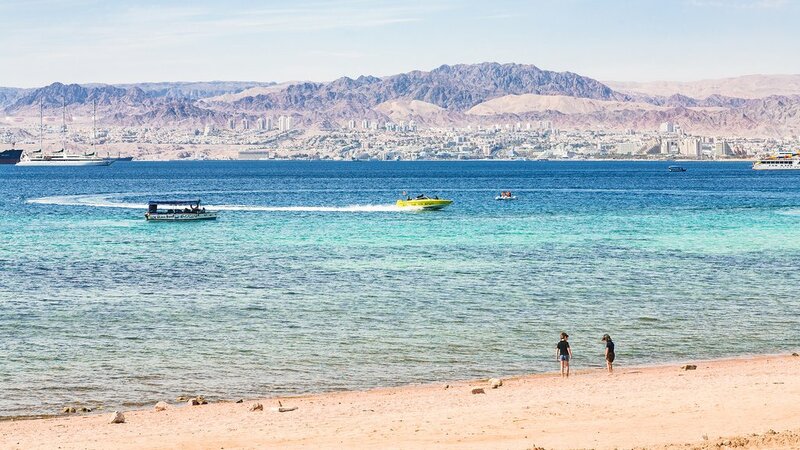 From Aqaba, you'll be driven to your beachfront hotel at the Dead Sea. 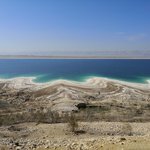 Activities are plentiful, and this sunny locale at the world's lowest elevation truly offers something to suit every interest. 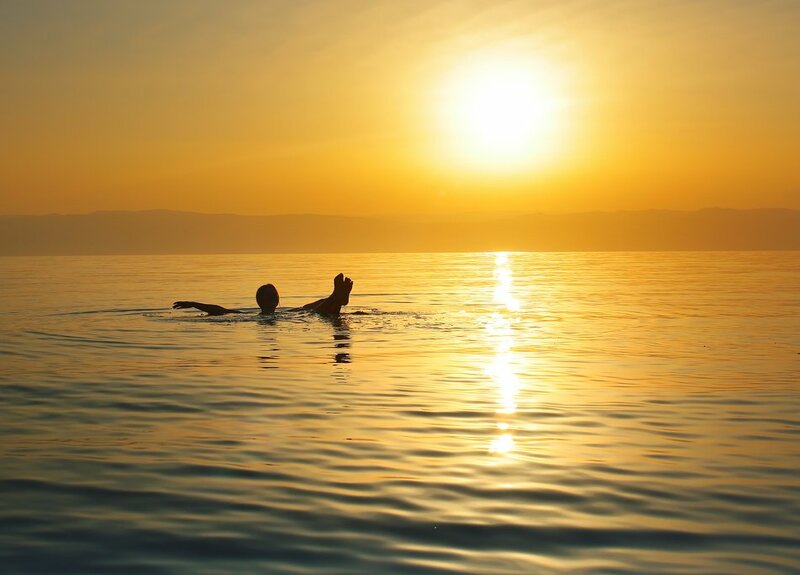 Go for a swim or soak up the sun from a sandy beach. 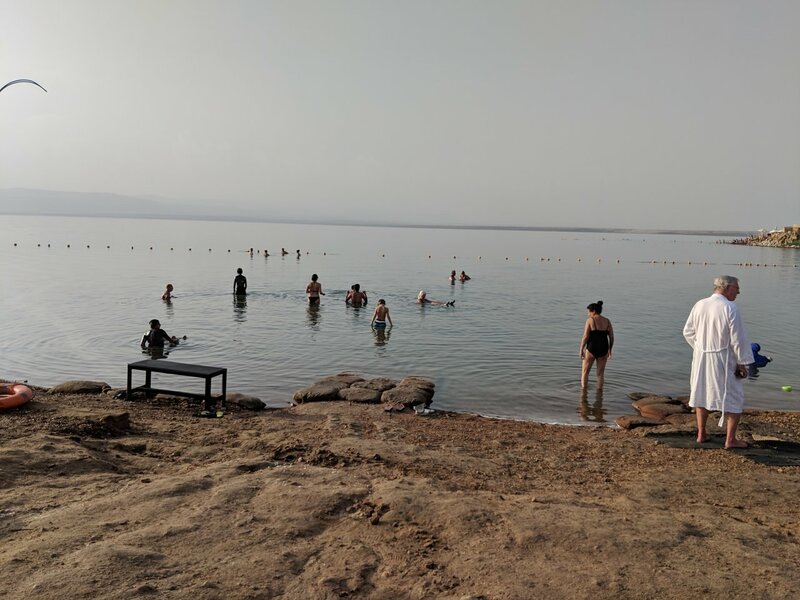 Alternatively, pay a visit to the Hammamat Ma'in, a group of natural hot springs and waterfalls funneled into man-made pools and baths, or explore the nearby Mujib Nature Preserve. 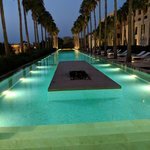 You might also indulge in a mineral-rich mud wrap or another of the regional spa specialties known for their healing properties. 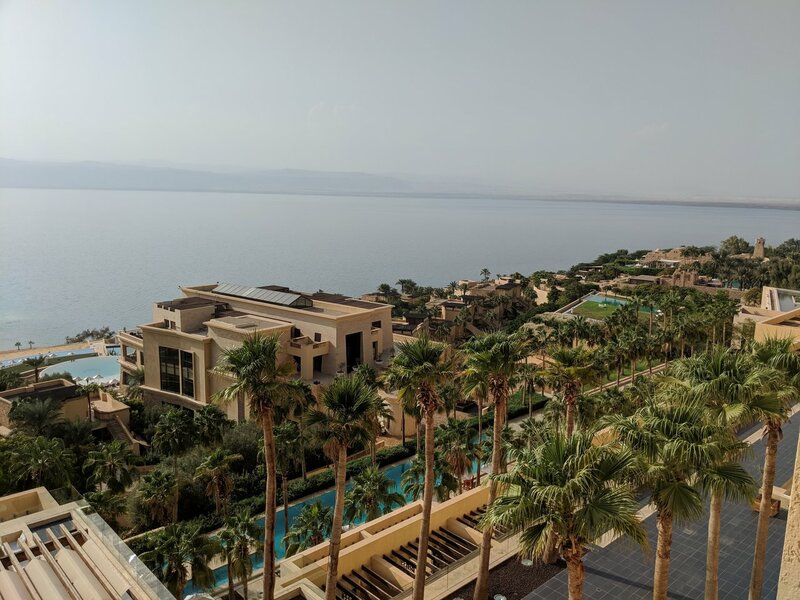 Take advantage of your last morning in Jordan with one more dip in the calm and salty waters of the beautiful Dead Sea, before returning to Amman for some last-minute shopping and sightseeing. You'll then head to QAIA to check in for your departing flight. Thank you for joining us for a week of adventure! We found dealing with Raisa very easy and she responding promptly to all our questions in the planning and lead up to this trip. 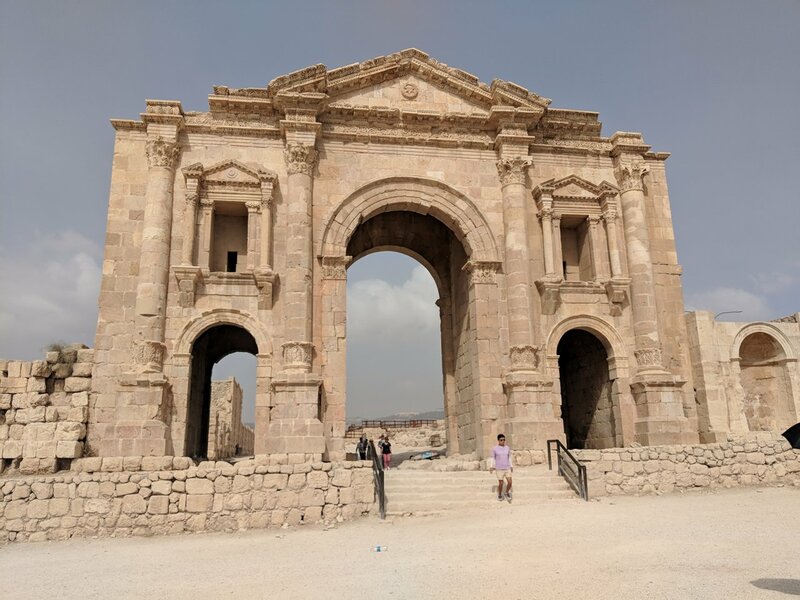 The itinerary was very comprehensive and busy which suited us although with hindsight we did miss out on a few things (Guide in Jerash) and a tour of Amman which was not included. 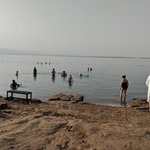 Some of the hotels were not up to a standard that we would like and in need of maintenance (faulty leaking showers) but overall we had a terrific trip. 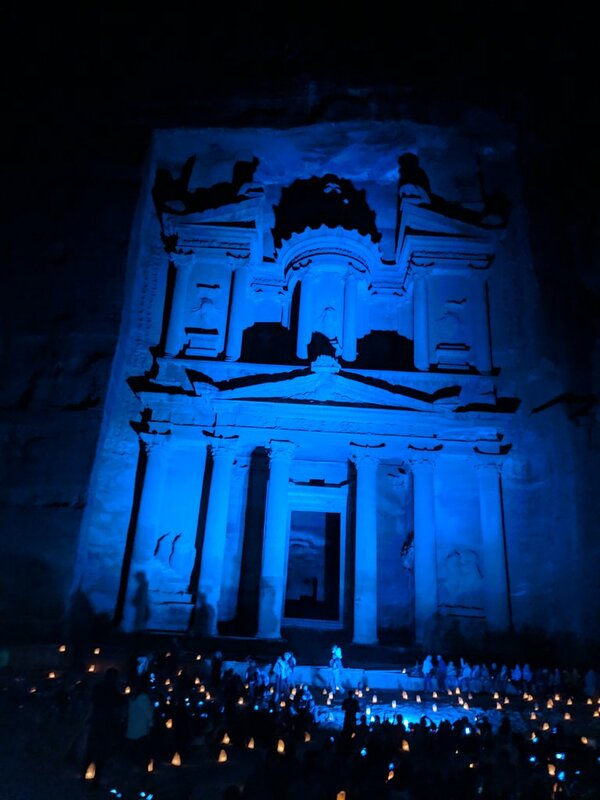 The experience in Jordon itself was fantastic. 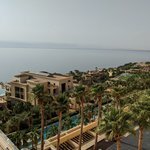 It is a beautiful country and we enjoyed Petra and Wadi Rum immensely. The experience with kimkim was good at first, but a lot of important details were missed that soured our experience. Imke never sent us the name or contact info for our driver, despite her assuring us that she would and I reached out to her days before we left to get that info. We felt rather lost when we landed, not sure where to find him since there were groups of drivers/guides at many different places in the airport. 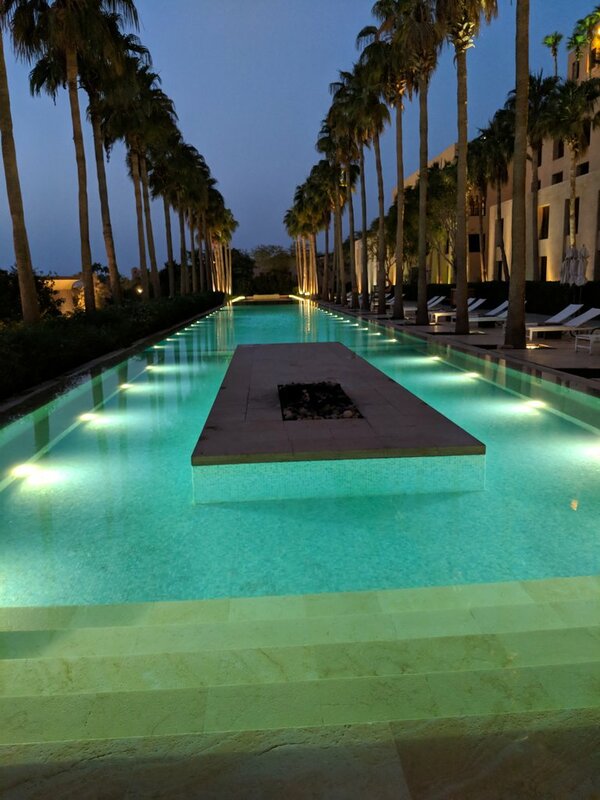 Then we got to one of our hotels and it hadn't been paid for and the host at the desk rather aggressively insisted it was my responsibility to pay. 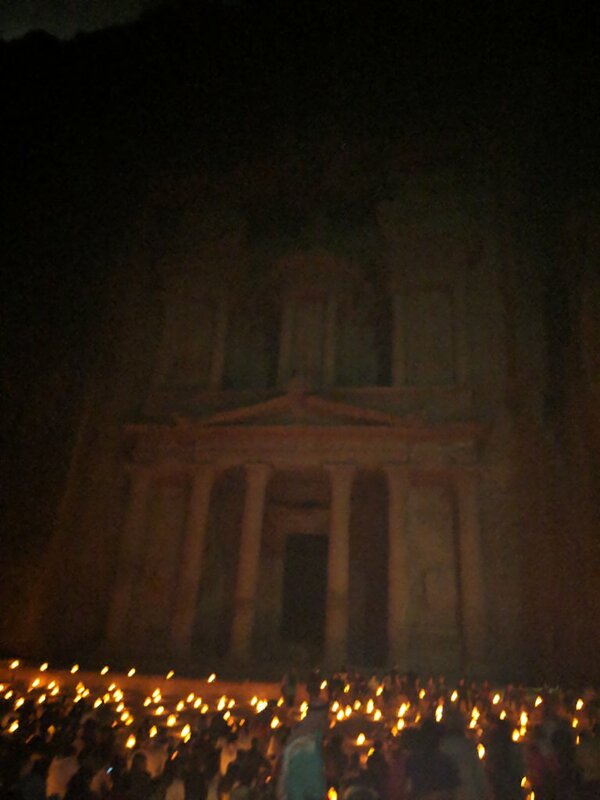 I had to call the emergency line to get it resolved, and the whole process took over an hour from our time in Petra as we weren't allowed to leave the hotel without paying. Then, less important but most disappointing: despite confirming with Imke twice that we wanted to do the hot air balloon in Wadi Rum, she did not make the booking and it was already full when we got there so we missed out on one of the parts of our honeymoon that we were most looking forward to experiencing. 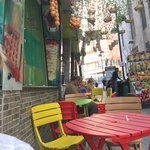 And our driver was nice but we felt pressured at times to buy things from the gift shops and restaurants that he took us to (I know this is standard on tours but it shouldn't be). 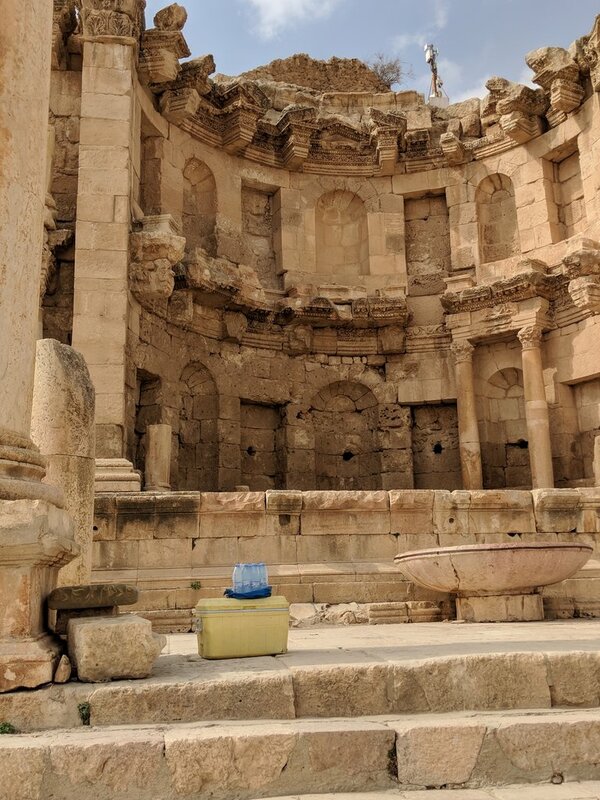 And then on our last day we had planned in our itinerary to explore Amman for a few hours but our driver insisted that we should stay at our hotel until 5pm (well past checkout) instead. We pushed back a bit but he was very insistent and so we felt uncomfortable and just agreed to that. Overall, we liked Jordan but I'm not sure I would go through kimkim again.